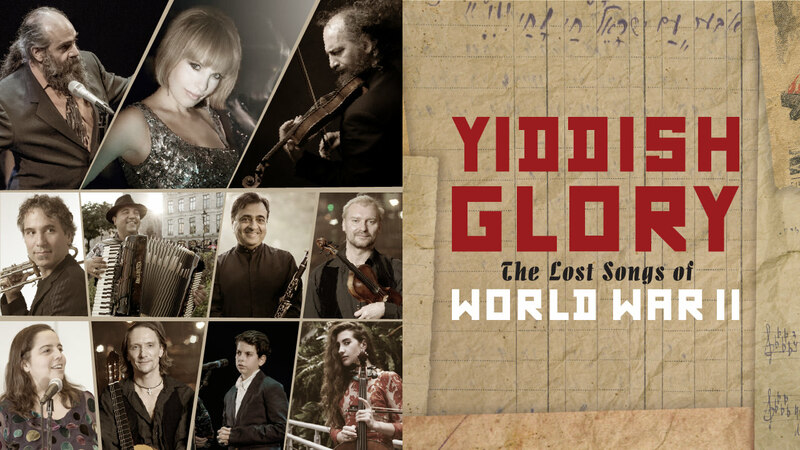 Hailed by more than 100 critics and journalists from around the world, Yiddish Glory is an astonishing program of songs written by Jewish lyricists and composers during World War II in the Soviet Union. Yiddish Glory features anti-fascist songs and music documenting Nazi atrocities that were discovered in a former Soviet archive in Kiev. The songs have been resurrected by Yiddish Glory in a jaw-dropping new recording of music written by Holocaust victims and survivors in the Soviet Union during World War II. Many of the songs are grassroots accounts of Nazi atrocities in Ukraine at sites such as Babi Yar, Pechora and Tulchin, while others are explicit descriptions of resistance and revenge. Most of the songs were written by women and children, perspectives rarely seen in music of this period. The songs were collected by a team of Jewish Soviet ethnomusicologists led by Moisei Beregovsky during the war, but shortly afterwards, during Stalin’s anti-Jewish purge, the collectors were arrested, their work confiscated, and they died thinking the music was lost to history.